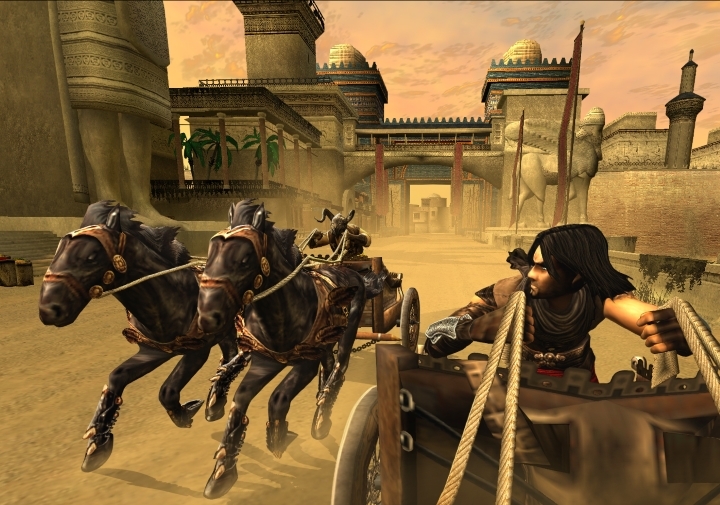 The chariot races were not good, but Prince of Persia: The Two Thrones was a great experience overall. Prince of Persia: The Two Thrones concluded The Sands of Time trilogy, and thankfully it’s also a great game in its own right. And while many fans were upset at how Ubisoft had turned the prince into a cynical and arrogant character in Warrior Within, the prince here is more like his sweet self of the earlier games, even if he must also fight his evil alter ego the Dark Prince. Actually, one of the gameplay novelties of this game was the possibility to switch between the normal prince and the Dark Prince, who was something of a badass in combat and could take out several enemies at once with his new weapon, the daggertail. The regular prince was no pushover either, as he could resort to the new stealth kills, letting him take out unaware guards in a violent fashion. The game also featured chariot races which required split-second timing and were not as much fun as the combat and platforming action. The latter thankfully was as entertaining as ever, in what is certainly one of the best entries in the Prince of Persia series to date.